ankle-to-boot, hood-to-face piece & storm-flap. 1. Will Chem-Tape® give a liquid tight seal? No, Chem-Tape® will reduce gross liquid flow, but it is not a substitute for glove rings, attached boots, sock booties or sealed seams. The performance of Chem-Tape® is dictated by the care taken when applying the product. Users should avoid wrinkles and folds when applying the tape. Chem-Tape® utilizes a pressure-sensitive adhesive, the optimum seal will be obtained with a high degree of pressure during application. 2. Will using Chem-Tape® make suit gas-tight? 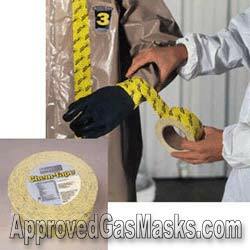 No, Chem-Tape® should not be used in attempt to make a gas-protective suit from as non-gas-protective suits. 3. How should Chem-Tape® be properly applied? 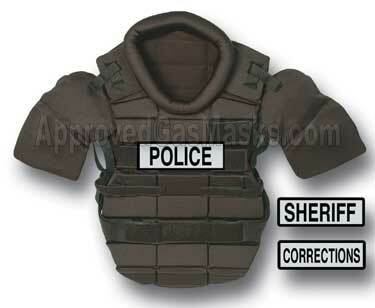 On what areas of the suit should it be used? Chem-Tape® was designed to create and improve the liquid resistance of interfaces and closures found on protective garments and ensembles. 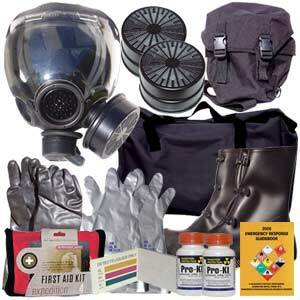 Chem-Tape® can be used to minimize liquid penetration through the following interfaces; glove/sleeve, boot/boot flap, zipper/storm flap, around respirator face pieces, etc. Chem-Tape® should be applied by hand with a high degree of pressure. A sufficient length of Chem-Tape® should be wound off the roll and either cut with a knife/scissors or tornby hand by pulling firmly and rapidly across the tape a right angle. A single continuous length of tape should be used whenever possible. Several wraps or lengths of tape may be necessary to obtain the desired level of coverage and performance based on the specific scenario. 4. Is it possible to reuse Chem-Tape®? No, Chem-Tape® is a single-use, disposable item. If you attempt to reuse Chem-Tape® you will get limited adhesion and could compromise your protection. 5. Does removing Chem-Tape® have an effect on the chemical resistance of the suit material? Chem-Tape® has a very aggressive adhesive system to maximize the bond to the fabric. 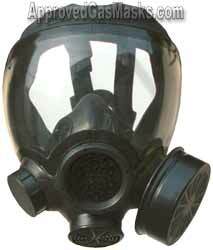 Some lightweight protective fabrics can be damaged when Chem-Tape® is removed. Temperature, exposure scenario, and the length of time the tape has been on a fabric will all affect the release characteristic. It is the user’s responsibility to inspect and determine if any item of personal protective equipment is suitable for re-use. A damage garment should not be re-used. 6. Will chemicals affect or attack the adhesive on Chem-Tape®? Chem-Tape® includes a polyisoprene (i.e., natural rubber) based adhesive system that can be affected by certain chemicals. Proper application (i.e., avoidance of wrinkles and gaps) in the tape will help to minimize degradation of the adhesive since a flat edge minimizes the actual amount of adhesive that is available for chemical exposure. 7. Is Chem-Tape® available in other roll sizes? What about in other colors? No, Chem-Tape® is available in individually shrink-wrapped rolls (2-inches wide by 60 yards long, 5cm wide by 54 meters long). Chem-Tape® is yellow imprinted with a black logo. 8. What is the difference between Chem-Tape® and standard duct tape? Standard duct tape is designed to minimize the gross leakage of air in and around seams and joints in heating, air-conditioning, and ventilation equipment (HVAC). Chem-Tape® is a conformable, hand-tearable, high chemical barrier closure and attachment tape system designed to minimize the influx of hazardous particles and liquids into the interfaces in chemical protective clothing ensembles. Chem-Tape® utilizes the same fundamental barrier technology found in limited-use chemical protective fabrics such as System CPF® 1-4, Tychem® and Responder®. 9. Will Chem-Tape® removal affect the chemical resistance of gloves? Unlikely. Most chemically resistant gloves such as PVC, Butyl, Viton® and Neoprene are either "cured" or "vulcanized" making them essentially unaffected by rubber-based pressure sensitive adhesives. 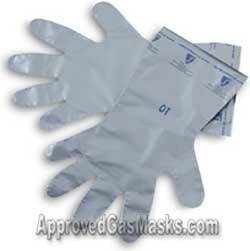 Film -based gloves such as the SilverShield® may be physically affected if Chem-Tape® is removed from the glove. In either case, the user should fully inspect the glove for signs of physical and/or chemical deterioration/degradation and discard if damaged. 10. Is it possible to use Chem-Tape® over serged or bound seams to enhance holdout? Yes, Chem-Tape® can be used to improve the performance of seams, closures, and other interfaces present on a protective garment or ensemble. The ultimate performance of Chem-Tape® is dictated by how it is applied.